I’m not even going to lie – I like easy meals. We’re a busy family and always have a lot going on. Even with careful meal planning, I don’t always have a lot of time to spend in the kitchen. And frankly, in the summer – I just don’t want to spend a lot of time in the kitchen….and the last thing I want to do is turn my oven on! Bleh! Up until about a year ago, my husband was always the one who did the grilling. I loved having him be my own personal grill-master, but hated having to wait on him to get home from work to begin preparing dinner. I wanted to learn to grill on my own….and I did! 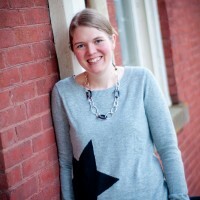 I have really started experimenting with my grill this summer – and love it! My favorite thing to grill is chicken. It’s delicious, economical, and a crowd-pleaser. I’ve been playing around with sauces and marinades this summer – figuring out new ways to infuse flavor into my meat. A few days ago, I opened a new jar of salsa for my son to put on his taco. A few minutes later, he went and opened a second jar of salsa leaving me with two open jars. 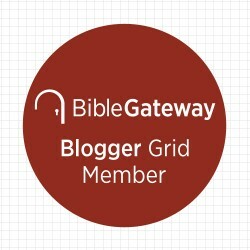 I started to wonder if I could use one of the jars in my grilling….so I tried it, and it worked! This recipe is SO easy guys. Open jar. Dump. Refrigerate. Grill. Eat. 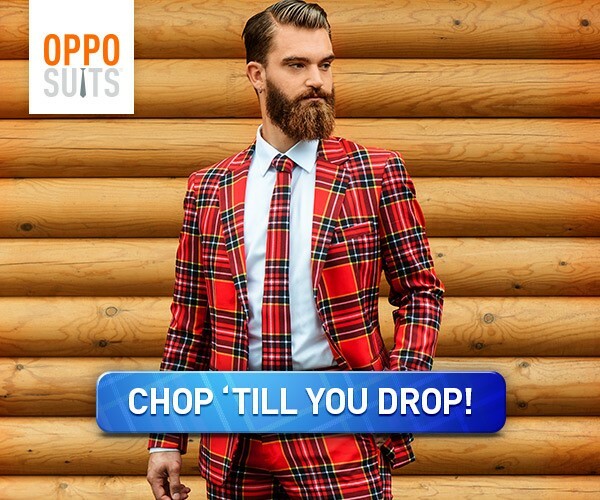 (I told you – it’s easy!!) You’re going to love it. The chicken is left with that tang of the salsa, and is so juicy. If you wanted some heat, you could certainly use a spicier salsa! 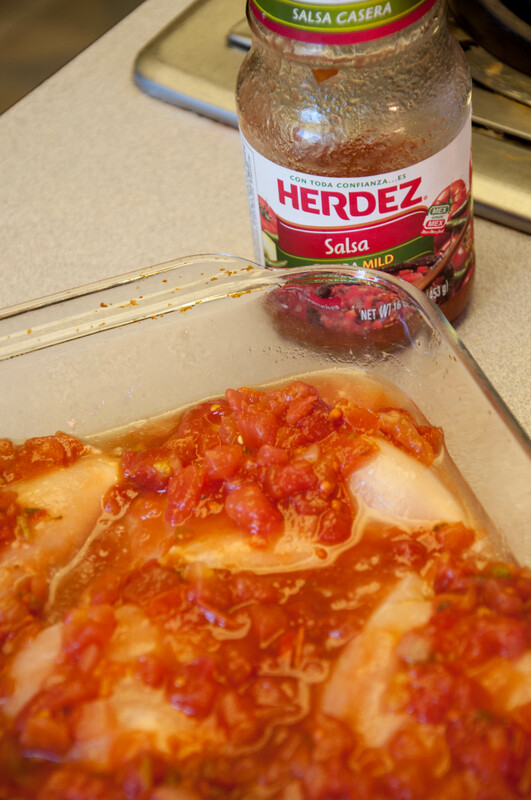 With so many varieties of HERDEZ® Salsa to choose from, you are sure to find a flavor that is just right for your palate. Place thawed or fresh chicken breasts in a 13×9 pan. Season with salt to taste. 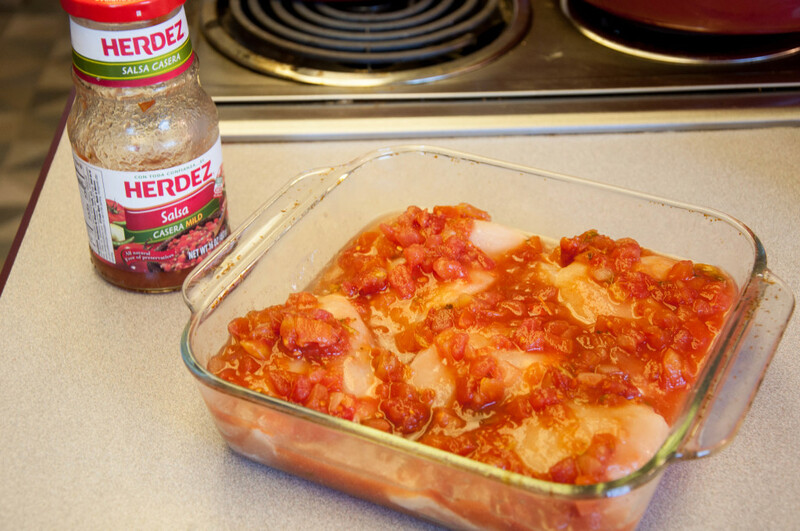 Pour a jar of HERDEZ® Salsa Casera on top of the chicken breasts. Serve with rice and chips, a salad, fruit – the possibilities are endless! Leftovers would be terrific shredded and put into a taco or on nachos! 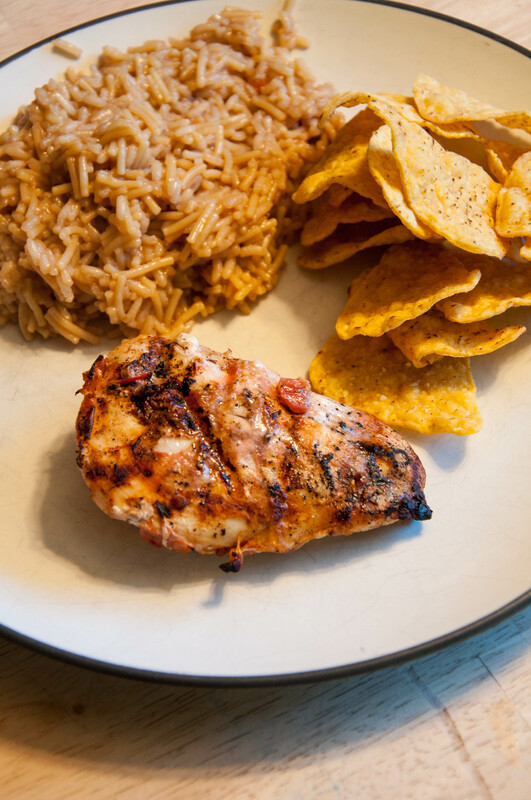 How will you serve up your Grilled Salsa Chicken? 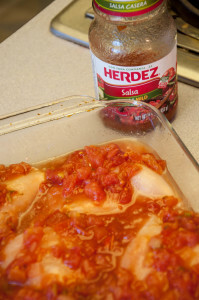 Make sure you check out even more great recipes featuring HERDEZ® Salsa Casera!